Brazil is known for its many influences on world culture in sports, dress and dance, but the country is known for its beaches above all. To many holiday makers, the mention of the word “Brazil” immediately brings images of sun, powdery sand and turquoise waters to mind. Although the beaches to the north of Brazil are some of the most picturesque, it’s hard to go past Rio de Janeiro because of its one of kind esplanade along Copacabana beach but did you know that there are 3 main beaches in this city for tourists to explore? The beaches of Rio de Janeiro are the most popular urban beaches in the country and seem to be the centre of most activity from tourists and locals alike. From legendary Copacabana Beach to family-friendly Leblon, they offer a mix of casual fun along with the chic style of the trendy crowds. The ‘cariocas’ (the term used to describe locals) love anything beach related, and you will often see beach volleyball, soccer as well as taking in the sun from dawn to dusk. 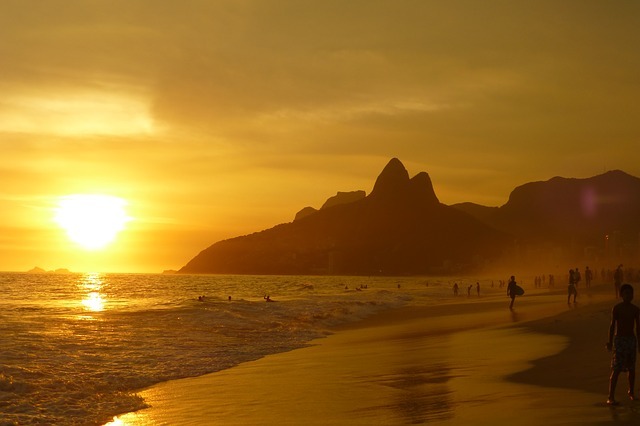 Rio’s most well-known beaches are iconic and have set the standard for vacationers from around the world. Each beach in Rio de Janeiro offers something unique to explore, and each will leave visitors yearning to come back again. Copacabana Beach was famous long before the song bearing its name and is considered one of the most iconic in all the world. The beautiful beach stretches for 2.5 miles featuring mountains as a backdrop, a mosaic-covered promenade, high-rise hotels and AvenidaAtlantica esplanade for strolling and enjoying the scenery. 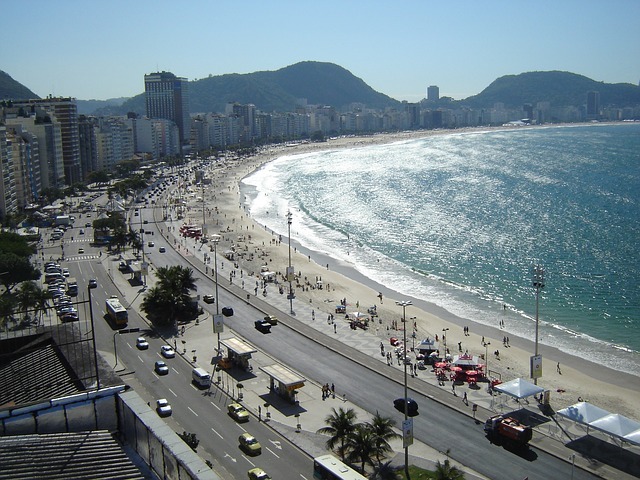 Copacabana beach and the district surrounding it features a number of restaurants with high-quality and decadent food, charismatic street performers and locals selling various goods on the beachside market. 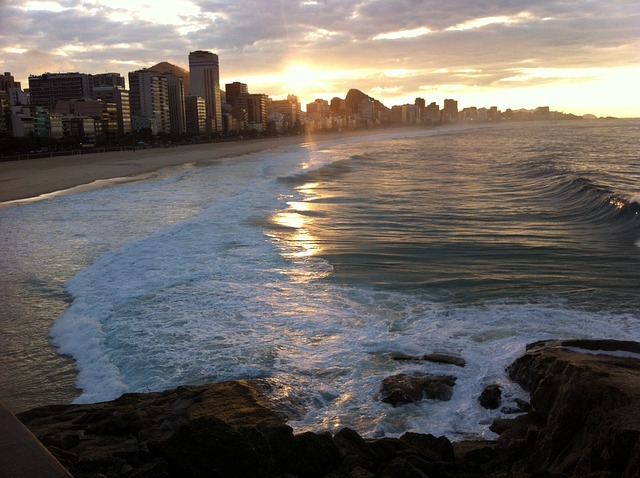 Stay in Copacabana beach if: you want to experience Rio de Janeiro like a carioca and the life and bustle of this city. There are plentiful hotels in Copacabana beach to choose from, a lot of them are ocean front which means that if you are lucky or pay a premium, you can have a room with ocean views. Even if you don’t pay for superior accommodation, chances are your hotel may have breakfast or even the swimming pool on the top floor so you can take in the surroundings of the beautiful city. 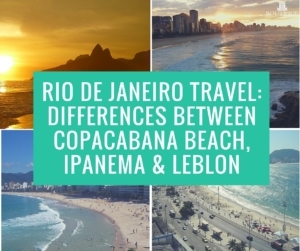 Ipanema is probably the second most popular beach in Rio de Janeiro after Copacabana and it offers a blend of elements for all types of visitors. The neighbourhood and beach are more upscale, and they tend to attract people with more lavish lifestyles. The area is located just past Copacabana Beach, and it is the spot for those that want to people watch and be seen themselves. In addition to the scantily-clad and perfectly-toned bodies that frequent this beach, there are countless vendors offering things such as swimwear, towels, beverages and even coconuts. There are plenty of the better restaurants, bars and shops of this city to enjoy in the day and night. Visitors looking to kick back, relax, grab a beer and enjoy the glamorous life will find Ipanema to be the perfect location. Stay in Ipanema beach if: you are looking for a more exclusive or privileged experience. There are fewer hotels to choose from, but this beach includes one of the absolute best, the Fasano Rio de Janeiro. Staying in Ipanema will offer a different experience to Copacabana, with the possibility of rubbing shoulders with the city’s elite. 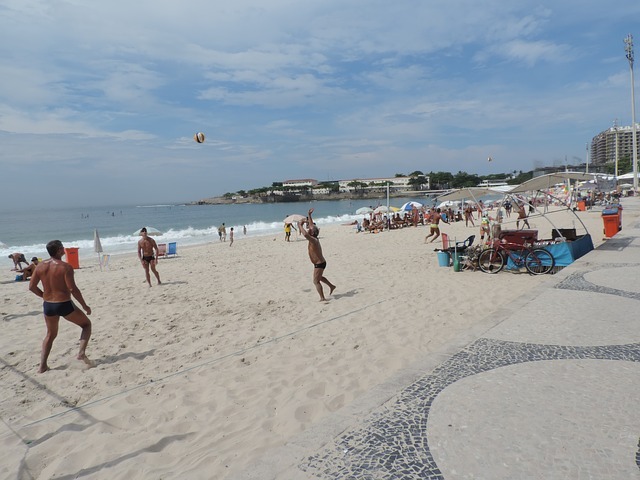 Leblon Beach is a popular destination for families because of its special play area. On the west side of the area, the wealthy and elite inhabit the large modern homes, but the beach is easygoing for all crowds. Leblon Beach is set in the center of Rio as an extension of Ipanema Beach, and it is separated from the former by a small channel. The area has tons of boutiques and restaurants, and it has a number of bars for older crowds. 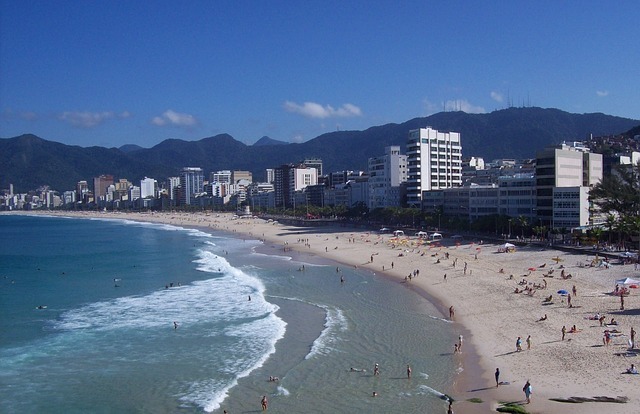 Unlike many other famous areas in Rio de Janeiro, Leblon is known for being very suitable for families with children. Stay in Leblon if; you are looking to get away from the bustle of the city or want a family friendly stay. This is a great location for those with smaller children, and a section of the beach referred to as “BaixoBebe” has a large playpen along with a diaper-changing area. There is also a playground for older kids.